Exceptional value for money, easy to use and clean. May be a bit small for larger families - ideal for smaller households on a budget however. 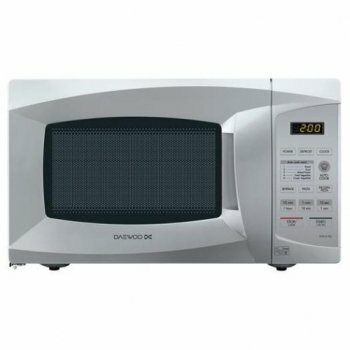 If you're looking for a new microwave for your home or work place, and do not wish to spend a fortune, then the Daewoo KOR6L1BSL provides a functional yet exceptional value microwave. Featuring a basic 20 litre capacity, together with a 35 minute timing system, the 700w power output is divided into several power options. Overall build quality feels quite solid, and although in this price range construction is typically mainly plastic rather than stainless steel, it's still well made and should last everyday wear and tear. The colour scheme for this model is silver, which is a change from the typical white that the majority of cheaper microwaves tend to be. The interior is a durable Daewoo acrylic finish, which will not rust, and should prove to be long lasting and easy to clean. The controls are digitally operated, and are well labelled for ease of use. A clear audible alert signals the end of each cycle, which can be a maximum of 35 minutes at any one time. Overall the Daewoo KOR6L1BSL will obviously not feature the same facilities as high end microwaves, but for the price you really can't complain. 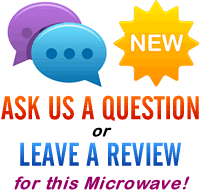 If you're looking for value and reliability, then you'll struggle to beat the Daewoo KOR6L1BSL silver microwave. If you're interested in purchasing a cheap yet reliable and functional solo microwave, then the Daewoo KOR6L1BSL is well worth considering - it's easy to use, feels well built, and should provide years of service for a relatively small price tag.